Hailing from Cape Breton Island, MacMaster received her first fiddle at the age of 9, launching a career that has lasted more than 30 years. Leahy was inspired by a fiddle-playing father from Ontario and a step-dancing mother from Cape Breton. When MacMaster and Leahy married in 2002, the proverbial mantelpiece was instantly crammed with Juno and East Coast Music Awards. 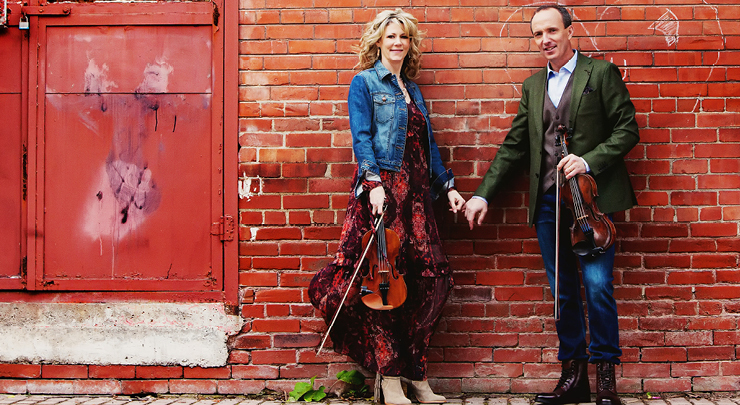 Their first recorded collaboration, 2015’s album “One,” was followed by 2016’s “A Celtic Family Christmas” and confirmed that MacMaster and Leahy were as dynamic working together as they were working apart. Their combined album sales exceed 1 million, and their past collaborators have included classical cellist Yo-Yo Ma, bluegrass star Alison Krauss, and banjo ace Béla Fleck.